Frame off restoration with light gray body and medium gray fenders with red accents. Motor is a 327-300 horsepower Chevy with a turbo350 transmission with a ratchet shifter. It has a mustang rack and pinion front steering, chevelle positive traction rear end. Dash is original with all gauges working. Has crank out windshield. This truck is FAST with 15 inch rally rims! 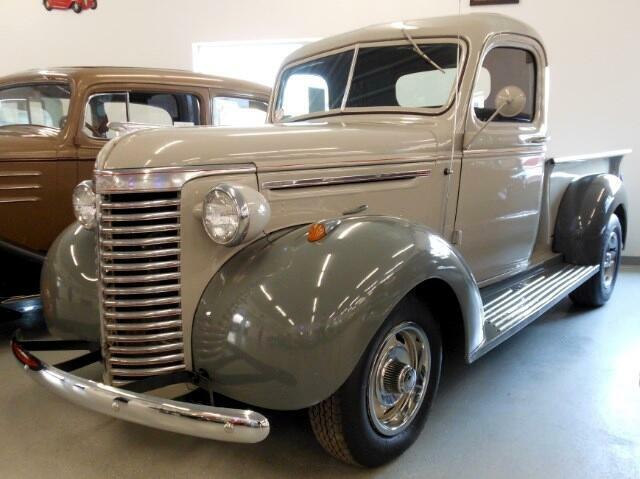 Message: Thought you might be interested in this 1940 Chevrolet Pickup.